We are delighted to announce that this year's Fortnight of Action will take place from 12th-31st October 2012. 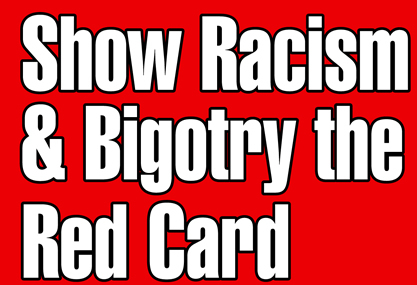 The 2012 Fortnight of Action in Scotland will take a stand against both racism and sectarianism again this year, and will involve all professional football clubs across the fortnight. The Fortnight Of Action will be launched in early October with a Charity Football Match .... watch this space for further details. Please find the Fortnight of Action promotional material here, grant information here, grant application form here and resources form here. All grant applications must be completed in full and include as much detail as possible; feel free to use additional sheets of paper. Please note that the Resources Form is an interactive PDF, however you cannot save a completed version of the resources form. You will need to complete the form, print it and photocopy for your records. The resources form will need to be posted to us or scanned and sent via e.mail.